German engineering, durability, and quality built into traditional, beautiful, and imaginative designs. There’s nothing quite like a Black Rok Shaker style kitchen. A Black Rok shaker kitchen blends traditional style with modern technology and materials to produce an elegant, contemporary, and exciting area for cooking, eating and socialising. Shaker kitchens are often likened to the more traditional kitchens, this is because the style dates back more than a hundred years. Perhaps the term Shaker is over-used within the world of contemporary furniture design; it seems that anything with knobs on is called Shaker. Shaker design was developed by a religious sect known as Shakers or more accurately: The United Society of Believers in Christ’s Second Appearing. The beliefs and practices of Shakers were derived from those of the Quakers with influence from the French Camisards who toured England in the early 18th Century. The term Shaker is a shortening of Shaking Quaker, a phrase coined due to the enthusiastic movements of followers during ritual expression . The first Shakers were led by Ann Lee from Manchester who fled persecution in England in 1774. She took her followers to settle in New York. This small number of people, probably little more than 20, lived in primitive conditions. By 1793, there were a number of settlements across New York and New England and the community’s size rose to nearly 100. By the end of the 18th Century, Shaker numbers had grown considerably. Shakers lived in communal settlements known as ‘Families’. These ‘Families’ ranged in size from 50 to 150. By the mid 19th Century, there were estimated to be between 4,000 and 5,000 Shakers. Shakers were never destined to become a huge society due to their celibate lifestyle. The Shakers’ independent and community existence led to their inventiveness. They made their own tools and developed their own unique methods of construction and architectural style. 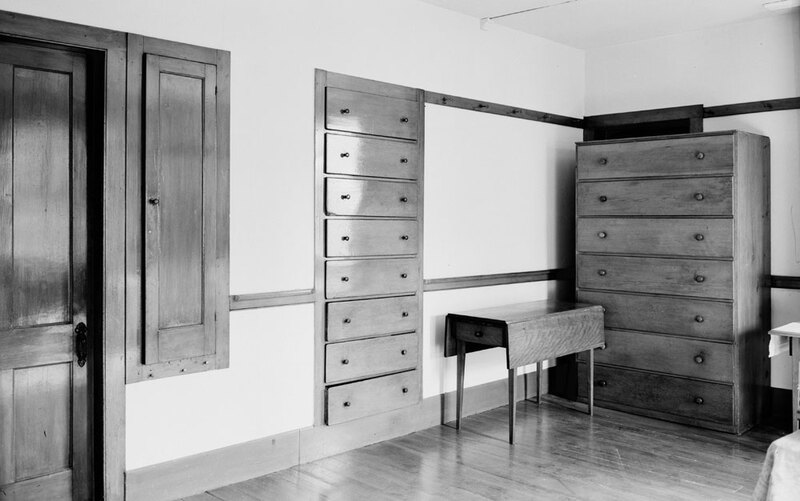 The style of Shaker furniture and architecture was shaped by simplicity and necessity leading to forms that were functional and minimalist. Little ornamentation adorns Shaker furniture, as this would have been considered as prideful or egotistical, neither of which was present within Shaker people. Lacking access to the developing industrial revolution that was occurring during their growth, the Shakers used traditional, locally-available and easily-workable materials, i.e. wood. Furniture would often be painted or stained using different colours to denote particular sects. Draws and doors would be characterised by wooden runners, hinges and knobs. It is not surprising that the limitations inherent in Shaker design resulted in enduring and simply pleasing designs that continue to be celebrated by great contemporary designers. 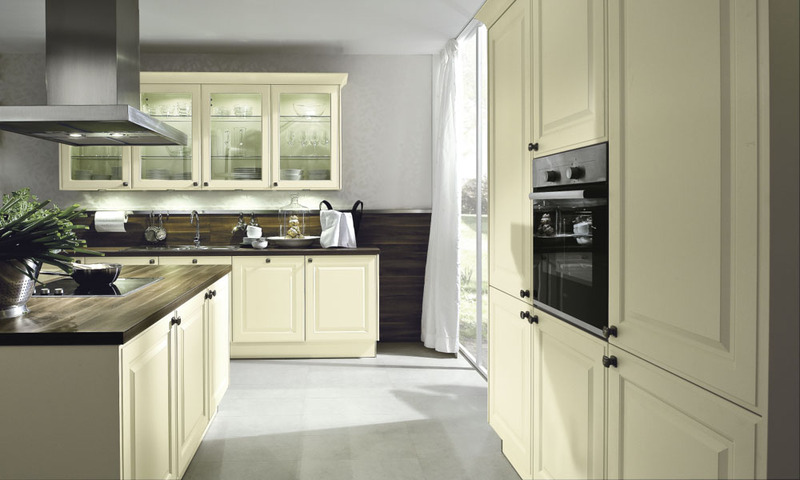 Of course, few of today’s buyers would be content with original Shaker furniture, at least not in a highly functional application such as a kitchen. Sticking drawers and dropping doors might be viewed as quaint in a hallway, but would soon become more than a little frustrating in a busy kitchen. Fortunately, these days we have access to accurately machined, highly efficient moving parts and robust cabinets and durable finishes. At Black Rok, we combine the best with the best, so that you can enjoy the simple beauty of a unique Shaker style kitchen coupled with the gliding, effortless movements that 21st century technology provides. What can you expect from your own Shaker created by us? You get the same innovative design, using the same high quality durable materials as you’ll find in our more modern designs. You can still have the great-looking, energy-efficient and labour-saving appliances. You get the same great customer service, where we work with you not for you. Above all, you’ll also get the same great ‘wow’ feeling every time you step into your kitchen (just read what our other clients say about theirs). 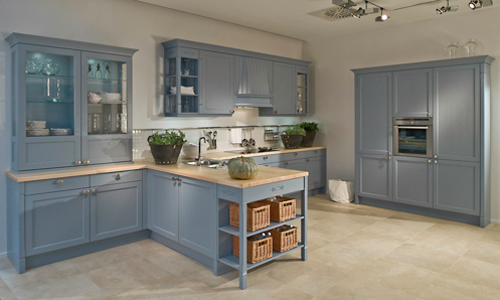 Come in and see us or call for a chat, we’ll help you create your dream kitchen that combines traditional style with modern efficiency and class-leading design.